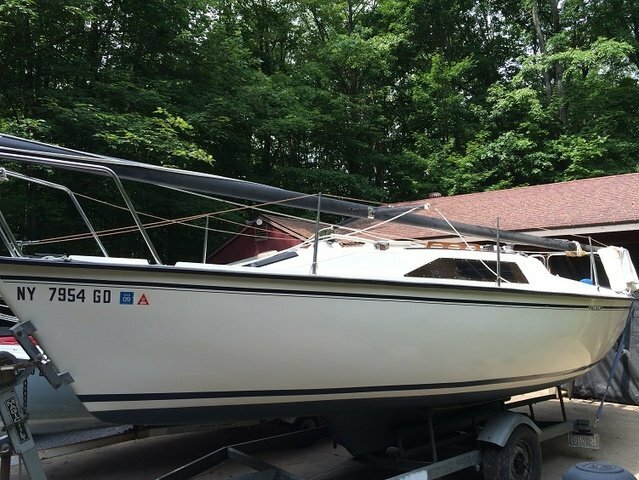 Please call owner Brenda at 315-591-3465. 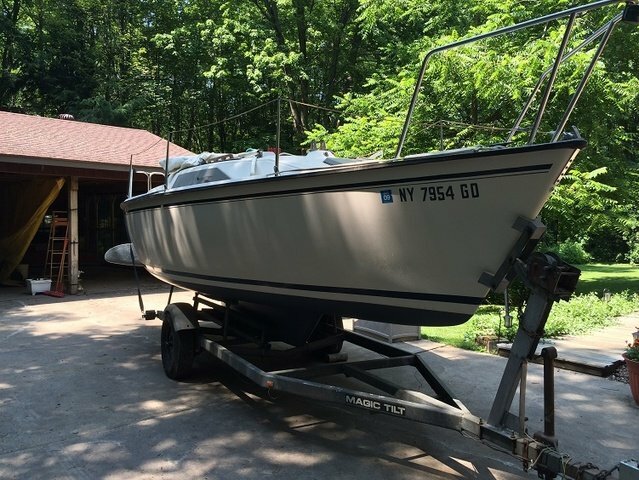 Boat Location: Fulton, New York. 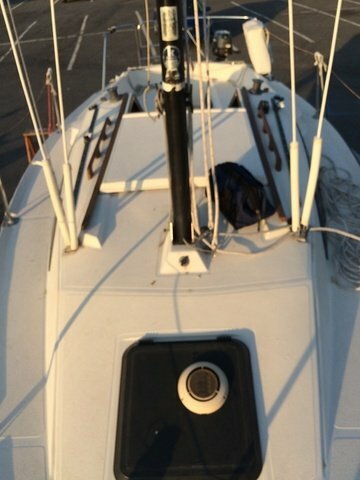 This sailboat is ready to sail. 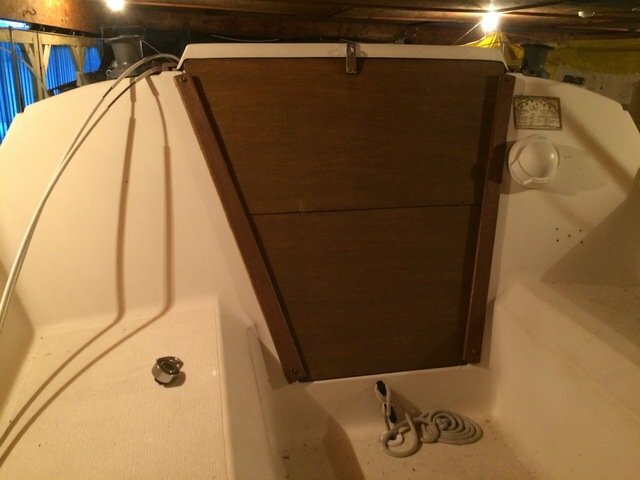 Boat has been very well maintained, stored inside during the winter months. 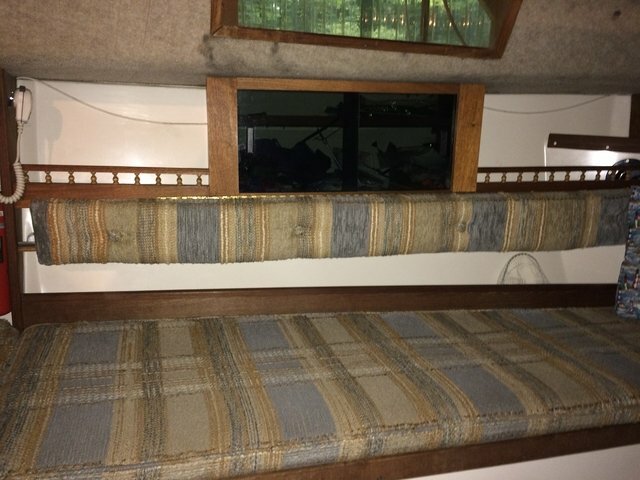 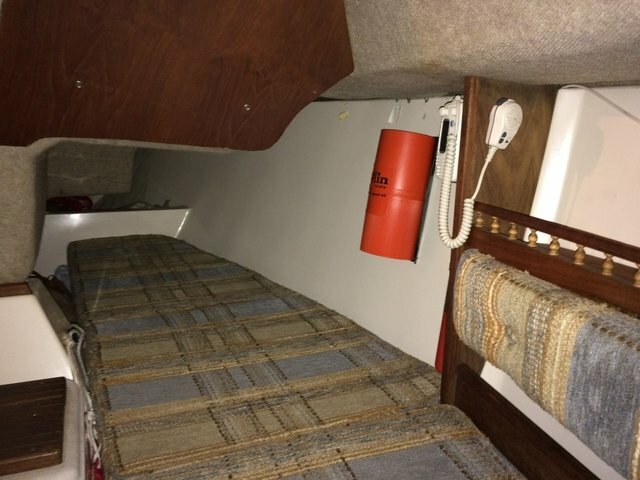 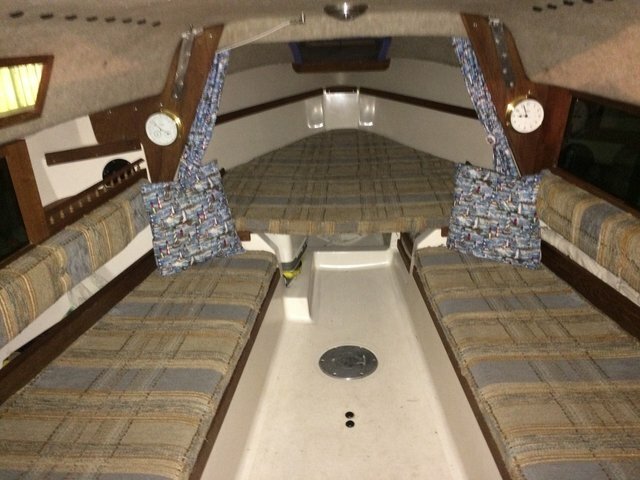 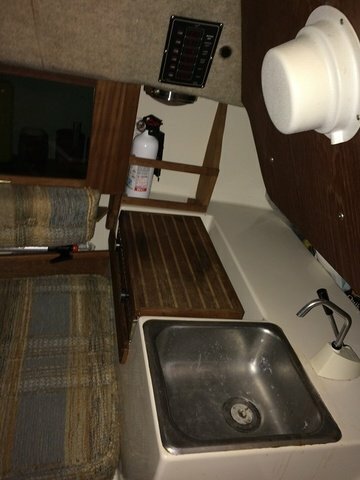 Boat has custom cabinetry inside and includes all standard equipment plus many extras such as a solar panel, custom made sun shelters and bug screen. 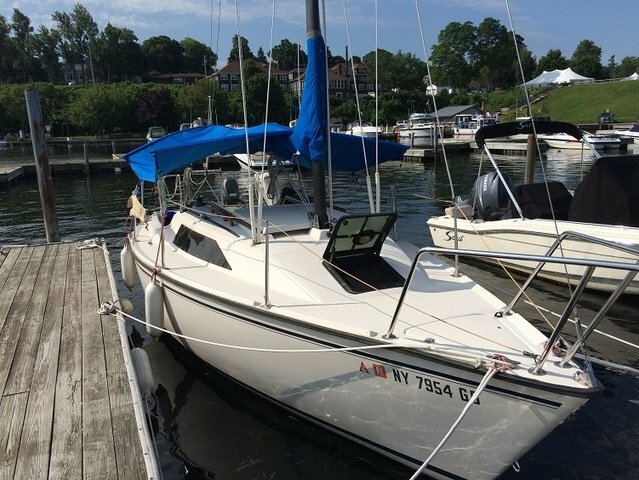 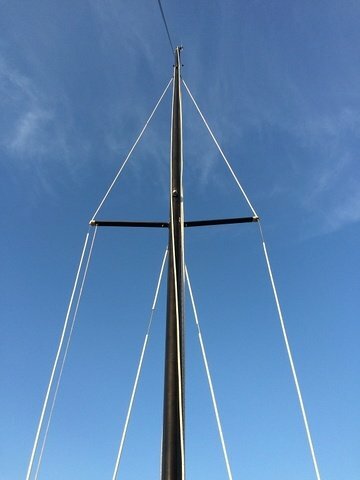 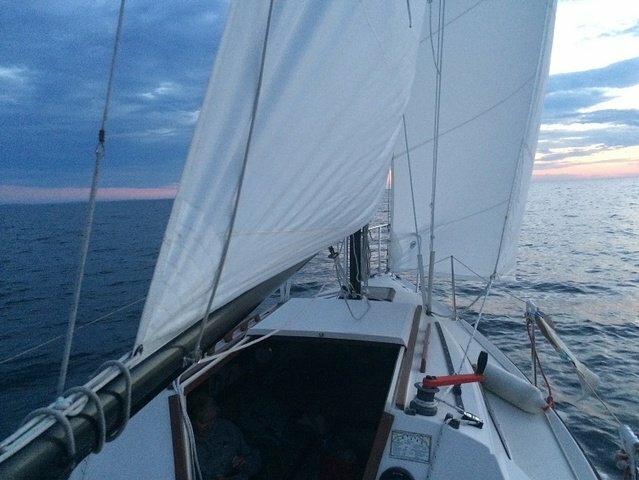 Boat also includes an expandable trailer, main sail and two jib sails in great condition.